While supporting S/4HANA customers, I have received lots of queries on how to successfully execute a Maintenance Planner (MP) step to get a valid Stack.xml file so that the customer can proceed with the system conversion tasks. As the Maintenance Planner (MP) execution is a mandatory step for a system conversion, i will try to describe in this blog in detail the role Maintenance Planner plays in system conversion for different system conversion scenarios. Generally, Maintenance Planner can be run multiple time to verify if the system is ready for S/4HANA conversion. SAP recommends to start this process as early as possible and preferably on a Sandbox/Test system which has been created with the latest production copy. This will deliver overall system readiness information for S/4HANA conversion and this information can be used to plan the overall productive landscape conversion project. 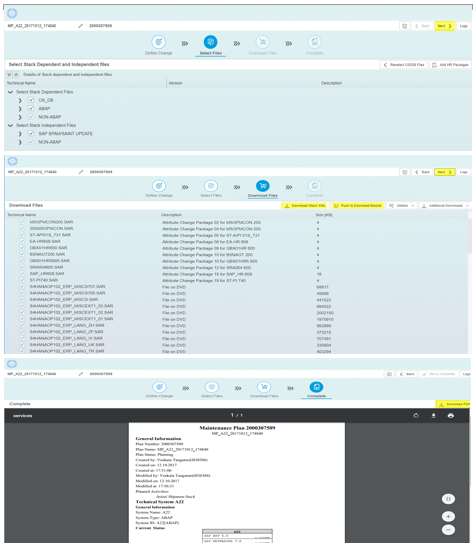 From the above figure, we see that the Maintenance Planner tool is used in the Prepare Phase of the system conversion project and is used to support the source system readiness check. If the source SAP ERP solution can be converted to S4HANA system or not. If the SAP ERP solution cannot be converted, then the Maintenance Planner provides the details information of why the system cannot be converted. If the SAP ERP solution can be converted, then the Maintenance Planner generates the Stack File which is needed by Software Update Manager 2.0 (SUM) tool to carry out the actual system conversion. Source system should be on Unicode. To perform any kind of update or upgrade the system needs to be in a Verified state indicating that the system description complies with SAP product modelling. A verified system status is green. For a system that is not in a Verified state, the verification status is red in the maintenance cycle for the system and this needs to be corrected before you can proceed. In the system cycle, the Sync button is green if there is only one solution manager which is chosen by default. If the Sync button is yellow, there are multiple solution managers. After you have verified and synchronized your system you can plan for system conversion. 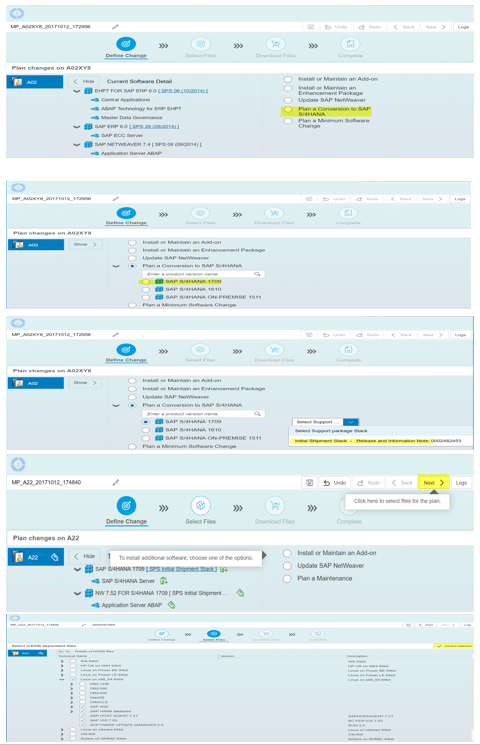 Click the Plan (as shown below), a wizard will take the user through the different steps and user needs to choose source system and the latest S4HANA software as the target solution that they want to convert the system to. The downloaded Stack XML file needs to be copied to the software download directory, so that SUM process can read it. Further solutions, for example Frontend Server, Java Adapter, etc. systems can be planned using Maintenance Planner. The Maintenance Planner does the prechecks for add-ons that are not supported and provides option to uninstall or retrofit to the target system, if it is possible. If the unsupported add-on cannot be uninstalled, customer cannot continue the conversion planning process. If any of the above checks reports an incompatibility between source solution (SAP ERP) and target solution (SAP S4HANA) then the Maintenance Planner stops and provides a detailed report of the incompatibility and does not create the Stack (XML), which is required for the conversion. This stops the customer from going ahead on the System conversion activities. When the Maintenance Planner provides the detailed report of incompatibility with Add-on details, it provides an option to uninstall or retrofit to the target system, if it is possible. If the unsupported add-on cannot be uninstalled, customer cannot continue the conversion planning process. The customer has a choice of un-installing some unsupported add-ons in the source solution (SAP ERP) then running the Maintenance Planner again to generate a Stack file, or let the SUM to uninstall during conversion process. The decision of un-installing add-ons is based on the usage and dependency of the add-on in the organization and is completely owned by the customer. Customer can also check to upgrade the add-ons to the latest version if available and re-run the Maintenance Planner for the source system. 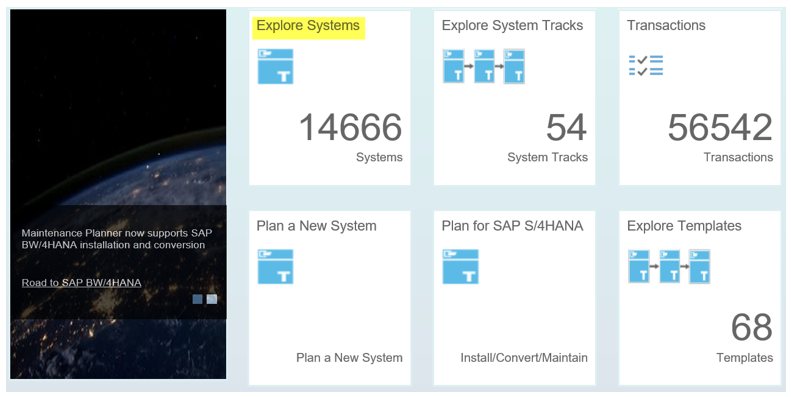 S/4HANA compatible add-ons Note 2214409 details the SAP compatible add-ons, compatible partner add-ons, and uninstalling ABAP add-on information. When the Maintenance Planner provides the detailed report of incompatibility with Business Functions, the customer has a choice of deactivation of only reversible Business Function in the source solution (SAP ERP) and running the Maintenance Planner again to generate the Stack file. This decision of switching–off/deactivation of only Business Function of type reversible in the source solution (SAP ERP) is based on the usage and dependency of the Business Function in the organization. The customer has to understand/study the impact of such Business Function switching–off/deactivation before they approach this step. The decision of switching–off/deactivation of Business Function of type reversible in the source solution (SAP ERP) are completely owned by the customer. Customer needs to check SAP notes for Always-Off (2240359), Always-On (2240360) and Customer Switchable Business Functions in S/4HANA. Note: Only the Business Functions of type reversible can be switched off/deactivated. If you have any questions or comments, please let us know in the comments section. S/4 HANA License is mandatory on my S-user ID? We don’t have license of S/4 HANA. Will SAP Provide a temporary license for those customer who does not have S/4 HANA License ? For testing purpose I want to do on my test server. I tried but on Maintenance planner I am unable to proceed. Getting error that you don’t have S/4 HANA License ?? Why SAP is not providing temporary license on system conversation activity during through maintenance planner ??? Is there any possibility to perform this system conversation activity on test server in free of cost ??? Kindly reply me waiting for your favorable reply, Thanks. Maintenance Planner runs off the S user and tied to a customer number. The customer is only entitled to conduct planning scenarios for software they are licensed for.